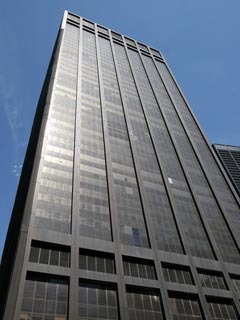 The Deutsche Bank Building at 130 Liberty Street in New York City, United States, adjacent to the World Trade Center (WTC), opened in 1974 as Bankers Trust Plaza. 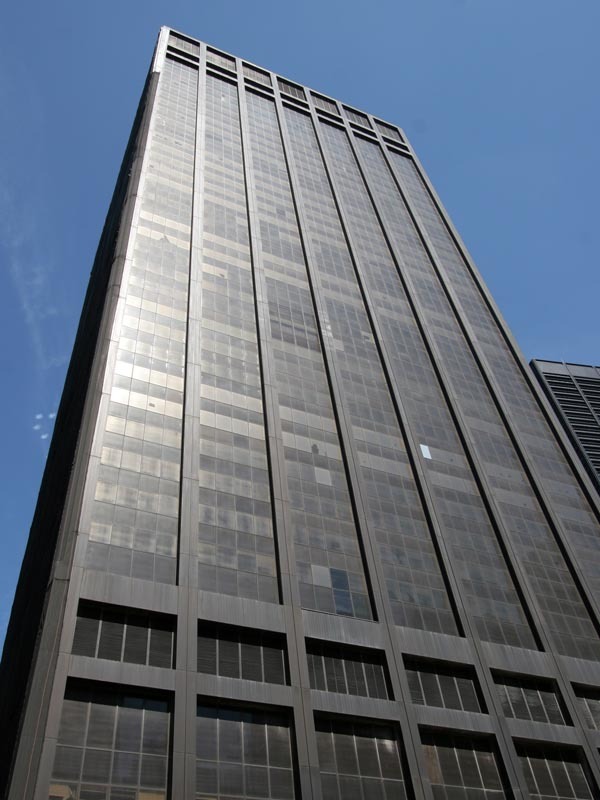 The building was acquired by Deutsche Bank when it acquired Bankers Trust in 1998. 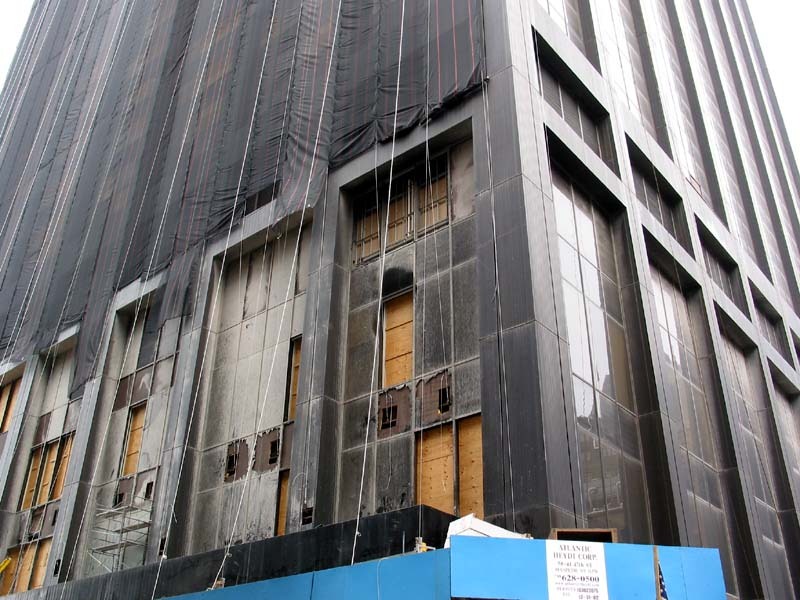 The Deutsche Bank Building was heavily damaged in the September 11, 2001 attacks after being blasted by the avalanche of debris, ash, dust and smoke that spread from WTC. The building has been in ruins ever since. 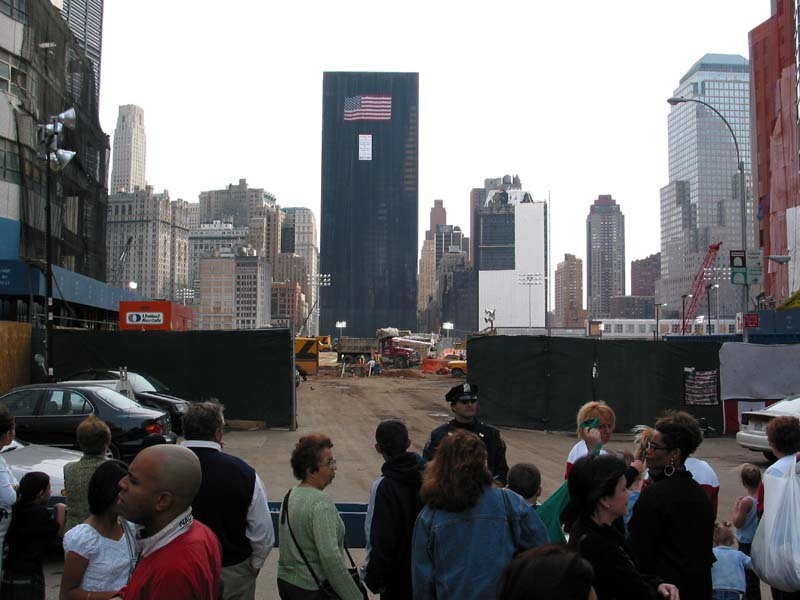 According to the update published by the Lower Manhattan Development Corporation, its deconstruction is still ongoing as of May 6th, 2009.World Trade Center Tower 5 will eventually replace the building following the deconstruction, expanding the ground space on which the World Trade Center stands, as this land was not part of the original World Trade Center. 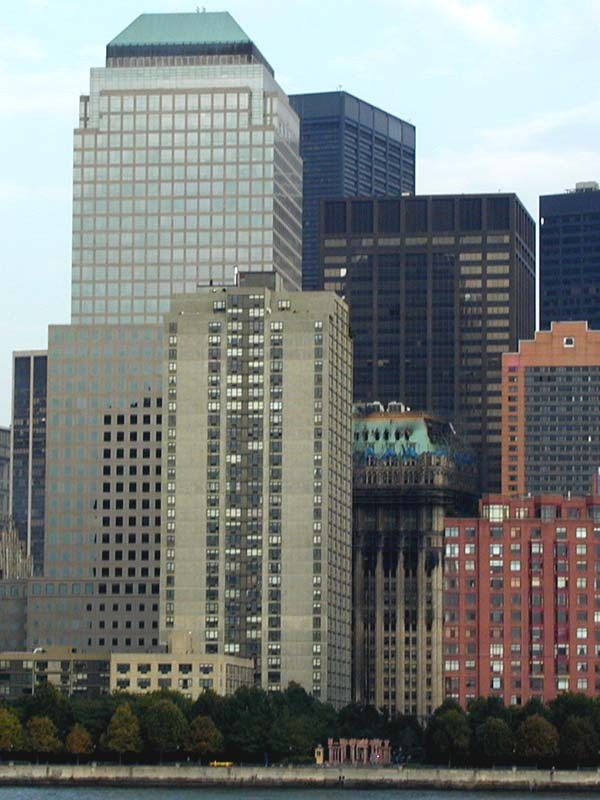 The building was designed by Shreve, Lamb and Harmon which also designed the Empire State Building. The 40-story building was damaged by the collapse of 2 World Trade Center (South Tower) in the September 11, 2001 terrorist attacks. The collapse of 2 World Trade Center tore a 24-story gash into the facade and destroyed the entire interior of the building. Steel and concrete were sticking out of the building for months afterward. 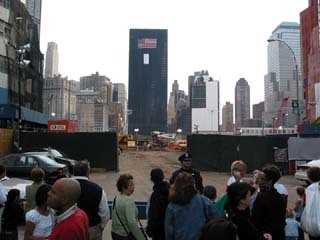 This was eventually cleaned up but it was decided that the 42 story ruin was to be taken down. 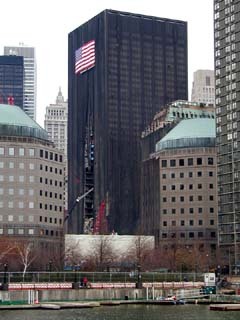 After the 9/11 attacks, netting that had the appearance of a black burial shroud was placed around the remains of the building. The bank maintained that the building could not be restored to habitable condition, while its insurers sought to treat the incident as recoverable damage rather than a total loss. Work on the building was deferred for over two years during which the condition of the building deteriorated. Deconstruction began in March 2007. However, due to a fire on August 18, 2007, work was suspended. A city stop-work order was lifted in April of 2008 and decontamination work began again in May of the same year. 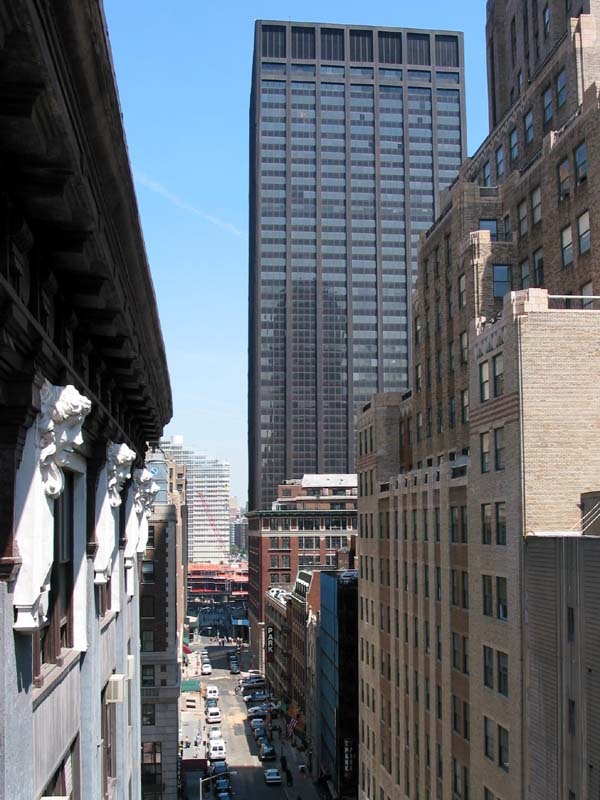 On May 17, 2007, work was halted after a 22-foot section of pipe being cut by workers fell 35 stories and through the roof of “The Ten House”, home to Engine 10 and Ladder 10 of the Fire Department of New York. Two firefighters were injured by debris, although they were not struck by the pipe itself. On August 18, 2007 at approximately 3:40pm a seven-alarm fire broke out on the 17th floor of the building. 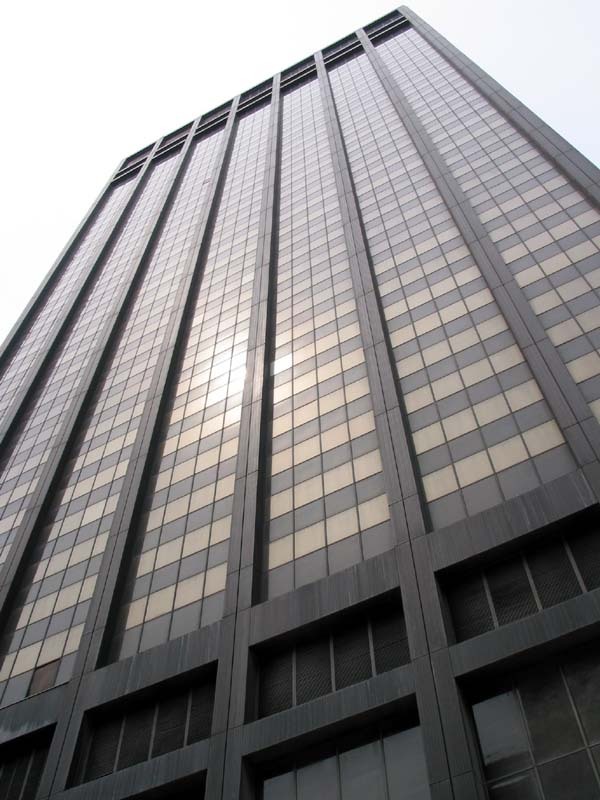 The skyscraper, once 41 stories, had been reduced to 26, with crews removing a floor a week. At the time of the fire, crews were removing asbestos. A preliminary cause of the blaze has been found to be careless smoking by workers on the 17th floor even though smoking was prohibited. The fire spread in both directions, affecting a total of 10 floors. The floors were filled with a maze of protective polyurethane sheets which were designed to prevent the spread of asbestos. The sheets also helped to trap smoke making fighting the fire near impossible. Two firefighters, Joseph Graffagnino, 33, of Brooklyn, and Robert Beddia, 53, of Staten Island were found on the 14th floor. They suffered severe smoke inhalation and died from carbon monoxide poisoning. In addition to the nightmare conditions inside, the building did not have a functioning standpipe. Firefighters were forced to raise hoses up from the street to combat the flames. The building had not been inspected since March, when it should have been inspected every 15 days. The fire burned into the night before being put out. Plans to deconstruct the building continued as quickly as possible. The last picture of 130 Liberty Street. 11 September 2005. Looking North along Washington Street. 11 September 2005. Looking North along Washington Street, with the Bankers Trust Building and Ground Zero. 10 August 2002. 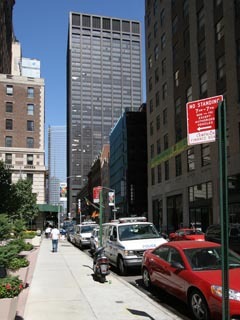 The view on 130 Liberty from Albany Street. May 2002. The damage from WTC collapse on Washington Street side of 130 LIberty. May 2002. 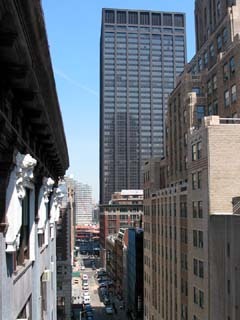 The view on 130 Liberty St from Greenwich Street on 14 April 2002. 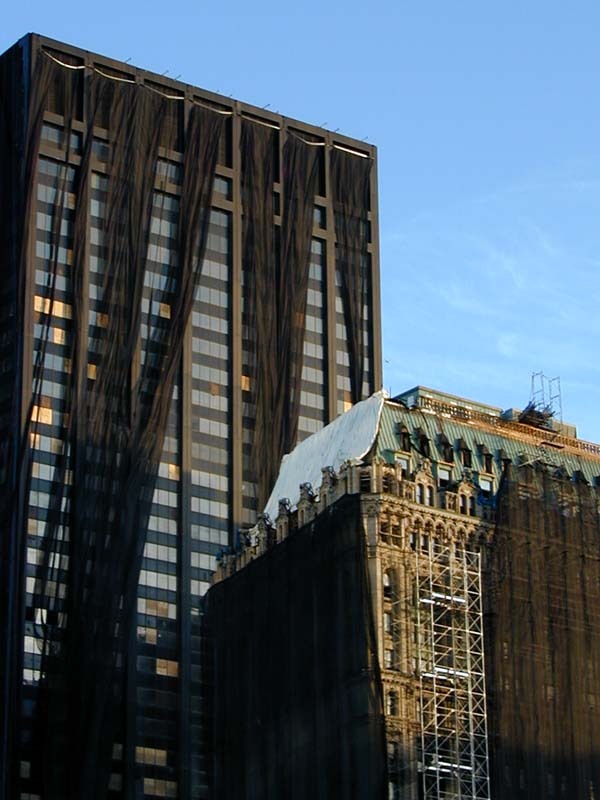 130 Liberty Street (Bankers Trust Building) on 8 December 2001. The view on Deutsche Bank (130 Liberty Street, aka Bankers Trust Building) and 90 West Building from on 26 January 2002. The view of 1 World Financial Center, 1 Liberty Plaza, Deutsche Bank (130 Liberty Street, aka Bankers Trust Building), and 90 West Building from the Hudson River on 21 September 2001.